On this site, you will find numerous indoor activities and crafts to do inside the home, but I also to make sure that we take care of the days when we have a bit of cabin fever as well. Sometimes our toddlers just want to get out of the house! 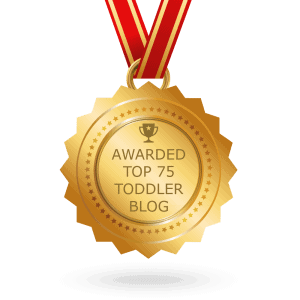 You can tell when they are not sleepy, hungry, or sick, but you are getting the constant whining from your otherwise perfect toddler (haha)! It’s playtime, but quite frankly, they want a change of scenery. 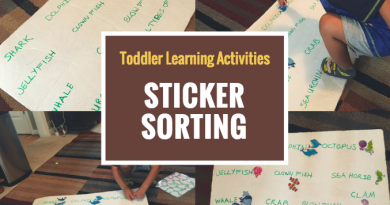 If you are willing to do the research, there are multiple indoor activities for kids that you can participate in at little to no cost, but I want to talk about one in particular that is simply Fun, Free, and Easy! Are you Ready?! You just can’t beat shopping, food, and play all in one place. Now, I am not referring to those arcades where you have to pay for tokens and your child gets a 2 dollar prize for the 20 dollars you spent. I am referring to the seating areas often located in the middle of the mall that will most likely have structures for climbing, crazy mirrors, and other little gadgets for kids to entertain themselves with for at least an hour. Hey, we take what we can get! This part won’t take to long. Start by making a list of all the malls in your area that you are willing to travel to at any point in time. It may not be everyday, but I would include them all. Next you will call, or look online, to see if that particular mall has a kids play area. Unfortunately, not every mall has one and some are also more elaborate than others. But trust me, do not let that deter you. 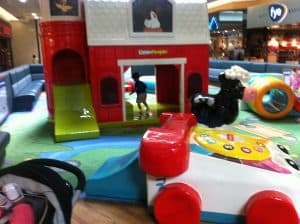 My toddler has just as much fun at the mall with the simple play area where he can run around by himself in the middle of the day! ← Educational Toddler Activities : Fun Learning Boards! Educational Toddler Activities : Fun Learning Boards! Oh my god this last picture is the best! I remember playing in mall play areas when I was a kid and they were so much fun! Everything seemed so much bigger back then. :p And this play area is super cool too! The few malls I go to unfortunately don’t have any play areas but they sometimes set things up during the holidays like Christmas and Easter. It’s too bad there isn’t something permanent as I like seeing kids play around laughing and having the time of their life gives a happy atmosphere to the mall. I wish all malls had them as well! They are so necessary! Often times when I go out of town I will look ahead and see if malls in the area have a great area for downtime and shopping with relatives. What great photos of play time! We sure don’t see anything like that too often. I think the ‘mall’ owners and shop keepers forget how this could be such an asset to everyone. Thank you for sharing with us Kayla. No problem Merry. I will continue to post other free activities outside the home that we may forget about from time to time. So true! Kids (and moms!) need to get out of the house often, even when it’s raining out. Great suggestion. I know our local mall has a play area like this that kids love! Haha! Yes kids and Moms. Sometimes we just need a change of scenery. 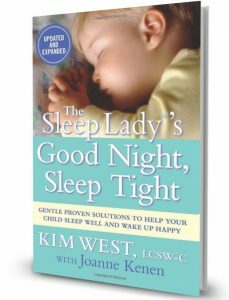 Read my FULL REVIEW of the Sleep Lady’s “Sleep Shuffle” HERE!